I was working today and didn’t spot any dogs on the way in so I went for a walk at lunch time. I went to a park where I’ve had success before and spotted Frenchie Maurice carrying a big stick! I went over to say hello and then carried on with my search; I didn’t spot any other dogs during my lunch hour! I went for a little walk when I got home, another night shot I’m afraid, I can’t wait for the days to get longer again! I spotted a very cute dog and went over to say hello! Poppy is a Border Terrier and she’s 15 years old; you wouldn’t think it though, she’s so active! 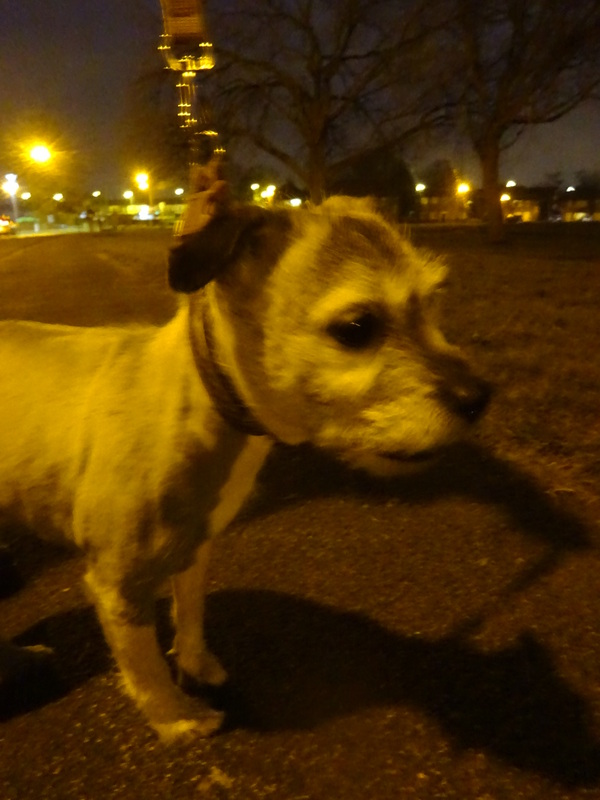 Poppy would hardly keep still for a photo and her owner told that me she’ll walk for miles despite her advanced age!